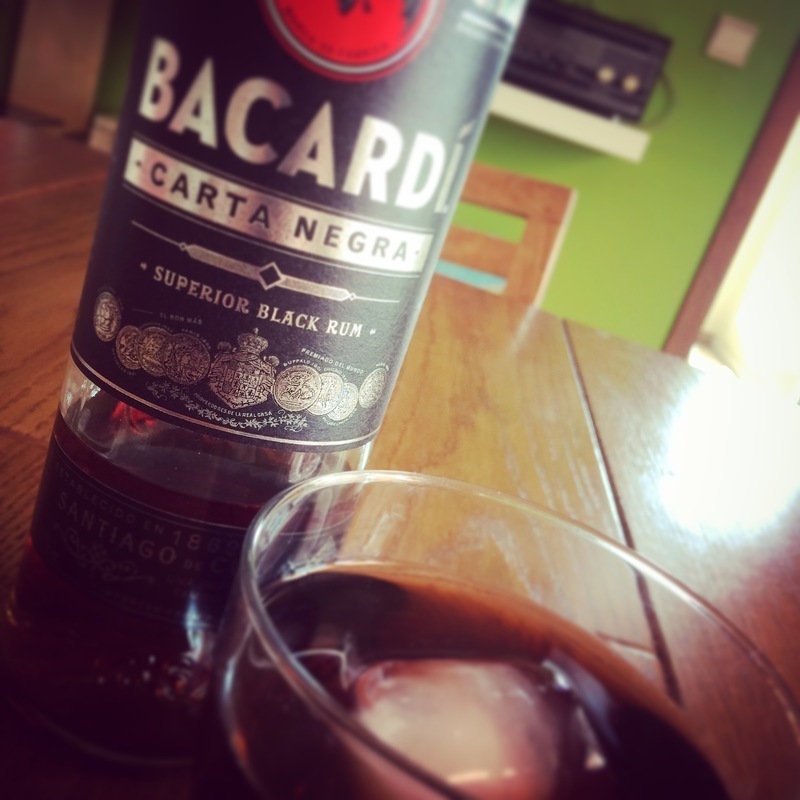 Have you found an online vendor selling Bacardi Carta Negra? With coke very nice, bit heavier compared to the oakheart. Has quite a heavy body, but in fact tastes very thin and water-like. Not enjoyable if you drink it neat. Too smoky for my tastes. Not bad but prefeer something else. Goes well in combination with coca cola. Just average rum coloured with caramel, that has not much to offer. Bit smoky character and sweet tones in taste but bitter end. Not very suitable for sipping but is still good enough for mix drink or cola. Ron polivalente con saber ahumado no tan fuerte. Bueno para beber solo o tambien con Coca Cola y soda. De lo mejorcito de la familia Bacardí. Nothing too special, heavy, smokey taste. Much more drinkable then Bacardi Bianco. A dark rum. Dark in colour and flavour. I do like the taste a lot. Reminiscent of a dark rum I've had before. Not harsh on the way either. A nice alternative to the Bacardi Superior, for me a mixer. Like the Oakheart the Carta Negra is a mixing rum. Great for mixing with coke or ginger ale. The Negra has a heavy, smoky flavour compared to its main rival the Oakheart. Personaly I prefer the Negra in a Baco. Can drink straight with lots of ice, but would recommend sticking to mixing. The first time i drank this rum neat made me Grab a bottle of coke... Half a year later drank it neat and And it was okay, so Lets call it dynamic? Great for people who like their rum more whisky like. Unless you specifically want a cheap mixer, why waste your money on this? Get a real rum. Haven't tried Bacardi 8 yet, so maybe the company has something serious to offer, but the cheap stuff ain't it. The first Bacardi who did not disgust me. The marketing supply of the drink is excellent - a strict classical bottle with an elegant black label and a beautiful color of rum, obtained naturally with the help of huge ammount of the sugar colleague.Rum in a bottle of 2-3 years old, not older. This already allows him to have the makings of a quality mature rum, but no more. The smell is quite pleasant, but the taste lacks the expression and balance as one of its main competitors - HC Anjeho Especial. Carta Negra tries to compensate for the lack of endurance with the help of the same sugar colleague. Partially it succeeds. But quite lightly. In general, Carta Negra is a drink that is not ashamed to drink, if you are treated or gift it to someone who is not a rum specialist, but when buying for yourself, it is better to give preference to Havana Club Anjeho Especial, even for a slightly higher price. Первый Bacardi который не вызвал у меня отвращение. Маркетинговая подача напитка великолепна - строгая классическая бутылка с элегентной черной этикеткой и красивый цвет рома, полученный естественнно с помощью львиной доли сахарного коллера. Сам ром в бутылке 2-3 летний, не старше. Это уже позволяет иметь ему задатки качественного выдержанного рома, но не более того. На запах он довольно приятен, но вкусу нехватает выраженности и сбалансированости как у одного из его основных конкурентов - HC Anjeho Especial. Carta Negra пытается компенсировать отсуствие выдержки с помощью того же сахарного коллера. Частично это удается. Но совсем слегка. В целом, Carta Negra напиток, который не стыдно выпить, если Вас угощают или самому подарить тому, кто не является знатоком рома, но при покупке для себя, лучше отдать предпочтение Havana Club Anjeho Especial, пусть и за чуть большую цену. Was hoping to get a cheap mixer when I bought a bottle on sale the other day. Out of curiosity I poured myself a healthy shot and decided to taste it straight at first. I have felt deep regret ever since. No seriously, do not sip this. Well onto the cocktail part,I started with Cuba Libre, but spicy taste of this didn't pair well with the coke. I guess. Anyway I gave it one more chance and mixed an improvised Mojito, which was the proverbial final nail as I was disgusted by the taste. If you are drunk then this can make you even more drunk with coke and I believe it actually is made using real rum, but this is what I would call a failed experiment. This is a regular and decent mixer for regular ocasions. Nothing fancy but not bad at all neutjes. Salud! Compared this to the Oakheart one. I choice the Oakheart. Like it a lot in a coke. Good taste and a lot better then a white rum and coke. I tried it neat but that was very dissapointing. Then mixed it with coke and as a surprise I liked it very much. Mister mye rom smak da den er alt for krydret. Kan til nød blandes med cola. Just a bit too much spices for me . but overall it's OK. Nose: molasses, grasses and plastic are felt. Quite a pleasant taste, but the burning sensation does not allow to delay for a long time. Simultaneously watery and oily. Coarse mouth, heavy on the stomach, but the head does not suffer, and even gives me strength!